We all know timelines are important, especially on a wedding day. 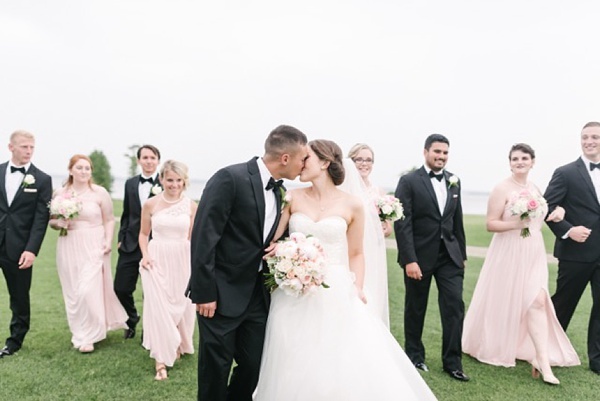 The master timeline created by a wedding planner orchestrates all wedding pros and events so everything runs smoothly for the couple, pros, and venue. So why have a photography timeline in addition to that? Oh so many reasons, friends! To help us better understand the importance of receiving a timeline from your wedding photographer, we have vendor fam Dani of Dani White Photography sharing what she does for her couples and some very helpful tips for what to expect on a wedding day photography timeline! Since I was a high school senior in 2005, I have been photographing weddings -- first as an intern for wedding photographers and then as primary photography when I started my own business in 2011. The wedding industry has drastically changed in the last 11 years, thanks to social media and technology in general. When I started, I would show up and capture whatever happened in the day with some family portraits after the ceremony. In 2005, that was fine and expected, but photography has grown so fast and now what brides see on Pinterest or a photographer's blog is so much more than the photographer just showing up and taking pictures. I first realized this when I was shooting at one particular wedding, the bride, beauty team, and I sat waiting for everyone in the bridal party to arrive. When everyone finally did arrive, the bridesmaids scattered everywhere, doing their own thing. When it was finally time for the bride to put her dress on, no one was ready, and the bride went over to a corner and did everything herself. I realized that this was probably not what this bride had imagined in her mind for that moment. The bride getting her dress on, on her wedding day, should be absolutely special. The mother-of-the-bride should be there along with all the bridesmaids to help with her pearls and veil, and everyone else should have hair and make-up on (or they won't like how they will look in pictures!). From that point on, I had the bride share what time she'd like her dress to go on, so everyone was ready and I could make sure that the bride had that moment, and it was exactly as she imagined in her head all those years. Now I have a full photography timeline that I have brides fill out two months before the wedding to ensure that the day is captured and is kept special for both the bride and groom. Once I started planning this timeline, every detail I noticed that bride and groom where much less stressed or worried about what would need to happen next because it was in the plan, and they were able to focus on living in the moment. When working on a wedding day timeline for photography, I see the day in four parts: Getting Ready/Pre-Ceremony, Ceremony, Portraits, and Reception. 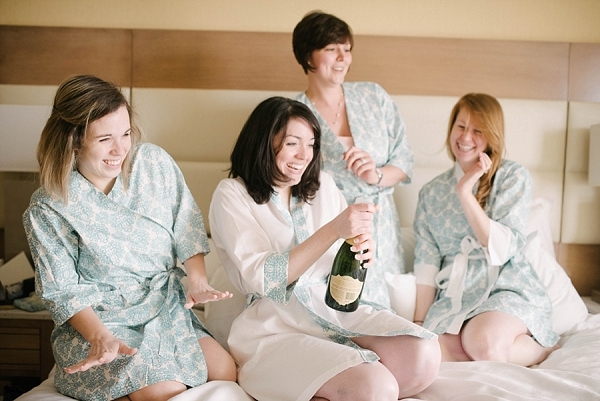 Getting Ready/Pre-Ceremony: The morning of your wedding day should be relaxing and fun! It should also be paced and memorable with plenty of time between events for mishaps to happen or to just make sure there is no rushing for anyone. There should be light food and plenty of water (and mimosas! ), and there should be a printed timeline for everyone to refer to. 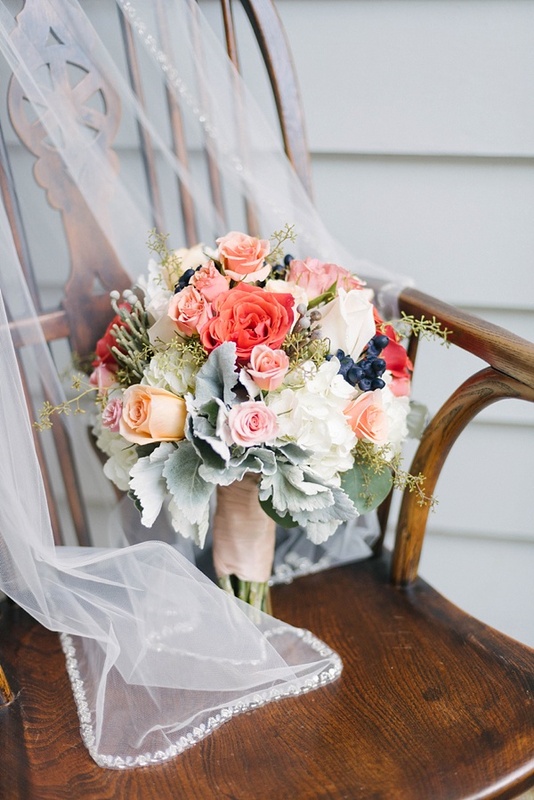 If your ceremony is at 4:00pm, then typically, your getting ready process should start as early as 10:00am. There should be everything you need in one place for detail shots and just for safe keeping such as your dress, shoes, jewelry, flowers, invitations, all three rings, veil, bridesmaids outfits, and anything else the bride would want pictures of. If there is a first look, this will happen right after all of this is done, followed by a few couple's portraits and the bridal party (if time allows). You can even do some family portraits before the ceremony if you have a generous master timeline from your planner. Ceremony: This is the easy part. The bride and groom should just include the schedule for the photographer. Do not surprise the photographer. If there is a special surprise, like a dip kiss down the aisle, tell the photographer! Helpful Portrait Timing Tip: After the ceremony, it can take guests a long time to leave and go to cocktail hour. Most families scatter as well. Have your officiant invite the guests to cocktail hour and leave quickly as family portraits will begin soon. Bride and groom should be away from guests so avoid chat and hugs that will take away a lot of time, and that will be done at the reception. The family in the family portraits should be notified ahead of time to stay for portraits. Portraits: Right after the ceremony and when the guests are out of the way, family portraits can begin. This can be the most stressful time of the entire day, but with a good shot-by-shot list and some planning, it doesn't have to be! Brides and grooms should sit down together and work through every shot they want of the family. The large family portrait should be first and then worked down to immediate family. Bride side first, then groom, unless there is a grandparent or someone needs to have their photo taken quickly. Once the family is gone (and if there wasn't a first look), it's time for bridal party! The bridal party should be waiting while the family portraits are done so they can go quickly. This is also meant to be fun! Once it is finished, the bridal party should go enjoy cocktail hour with the only people left, the bride and groom and photographers. This is important. This is a time where I create space for the bride and groom to be alone with my shooting in the distance. I want to give the bride and groom a chance to connect and talk. You are a brand new family and should have a moment of peace with each other! Once the bride and groom have had a few moments, we do some romantic portraits. These are the MOST IMPORTANT pictures of the day. These are the pictures you will hang in your home and show your grandchildren. They are also the portrait time to get cut first when there is a time constraint. With a bit of planning ahead, this should not happen. Bride and grooms, please do not let this happen as your heirlooms depend on it! Helpful Portrait Timing Tip: My advice for family portraits, less is more. The less different combinations you have for portraits, the better. You really only need one picture with extended family, then with grandparents with immediate family, then immediate family. That’s really it. Maybe some with just parents, and just siblings. I try to have the mom and daughter, and sister-sister shot done before the ceremony during getting ready. Reception: This is easy, too. I usually create this part of the timeline around the DJ's schedule as she or he is the lead for the evening! This will be the time the bride and groom notice me less and interact with me the least. You will see the flashes, but there is no direction or staging. Now that I have a detailed timeline for brides, I can't tell you how many times I have found mistakes or possible mishaps and prevented a headache or something much worse. Everyone is much more relaxed, and the moments are truly enjoyed. My goal for every one of my bride and grooms is that you don't just come away with pictures, but that you come away with memories, and that can only happen when you live that moment fully and focused, and that is accomplished with a good, solid timeline! Photos by Dani White Photography. Get to know Dani more on Facebook and Instagram!